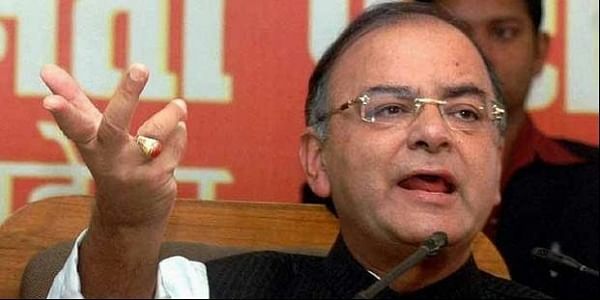 Union finance minister Arun Jaitley said that Odisha has managed to bring down the number of poor by half in the two decades. managed to bring down the number of poor by half in the two decades. If the State continues to grow at a pace faster than the national rate, its potential to wipe out poverty in the next one and half decades would be significantly high, he said at the Plenary Session of Make in Odisha Conclave here. The Union minister said western, northern and southern States have traditionally grown faster than those on the eastern side. “We have seen in last two decades, the number of people below the poverty line in Odisha coming down radically,” he added. Stating that Odisha is a test case for the India’s growth story, Jaitley said, “How fast the transformation of Odisha takes place is the touchstone of how India is growing.” Two decades ago, he said, the large tribal population and high poverty level were a challenge for both Centre and the State. The task was to transform the State into a manufacturing powerhouse in a short period of time, he added. Given its natural advantages, the State has the potential to be home to the core sector of India and its challenge would be to consolidate on these gains. The percentage share of manufacturing sector to Gross State Domestic Product (GSDP) is very high in Odisha, much higher than the national average and it has a potential to strengthen and contribute to the national GDP at a higher rate. He said, Odisha with its advantage of a long coastline can use the experience of eastern nations like Japan, China or South Korea which used their core potential and targeted the global markets. Odisha, he pointed out, has the potential to improve upon its own revenues. Its share in the central devolution of revenue has gone up after 14th Finance Commission. “The mineral-rich States which did not get the benefit have now been restored with stakes after the legislative and policy changes. After global changes in prices of minerals and commodities, States like Odisha had felt the impact. However, in the recent months, the trend is being reserved which augurs well for Odisha and industries operating here. Lauding the Naveen Patnaik-led government for supporting the demonetisation move, he assured that the Centre would walk hand in hand with the State government in its objective. Cumulative effects of Goods and Services Tax (GST) and demonetisation of currencies - would give States - and the country as a whole - a much bigger economy and taxation base. The States would have larger resources in its command to reduce poverty levels, to serve the poor and economically weaker sections through the creation of better infrastructure and increased health and educational spending. Once State’s initiatives are integrated with these twin measures, the outcomes of conclaves like Make in Odisha would be bigger and better in future, he added.